What better way to celebrate Arbor Day than to join the staff of the Polly Hill Arboretum for an afternoon devoted to trees! 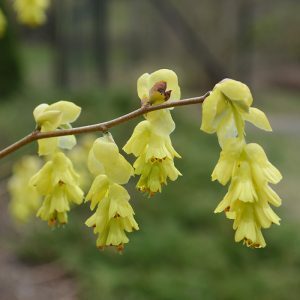 Take a guided tour of spring-flowering trees with PHA Curator Todd Rounsaville, and observe a tree planting demonstration. This demonstration will provide an opportunity to learn the best practices for planting trees in your own landscape. We will wrap up the afternoon with a tree seedling giveaway. This year’s free seedlings will be Oriental Spruce (Picea orientalis), available while supplies last. This large, elegant evergreen conifer has attractive dark green foliage, a pyramidal shape, is adaptable to a variety of soil types, and can perform well even in shady sites. This event is free and open to the public.